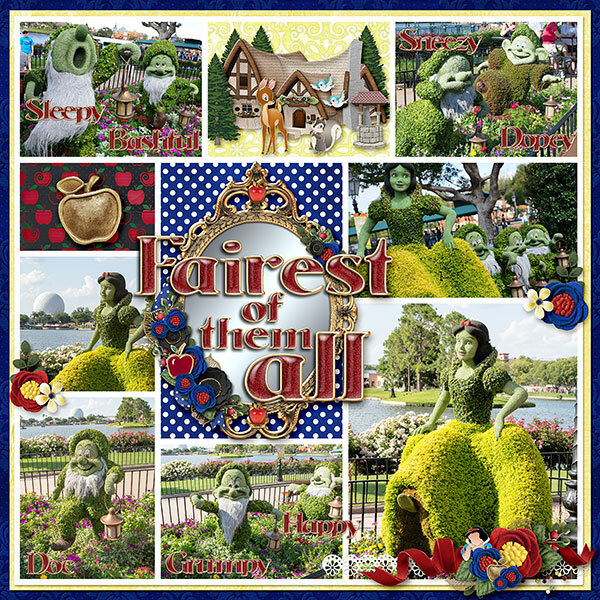 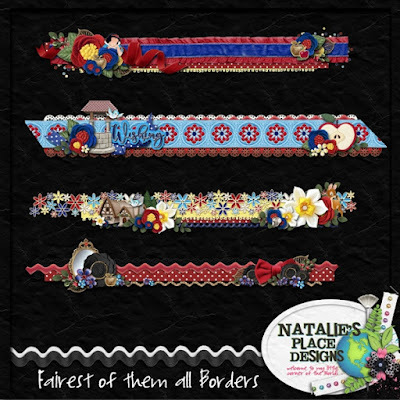 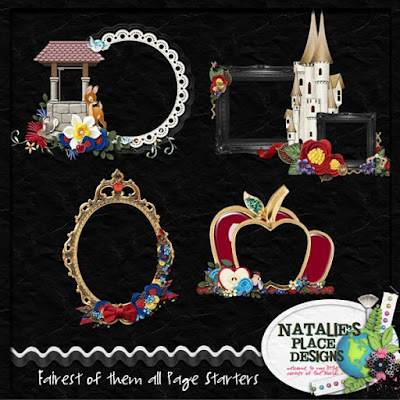 Natalie's Place Designs has a beautiful new release...Fairest of them All. 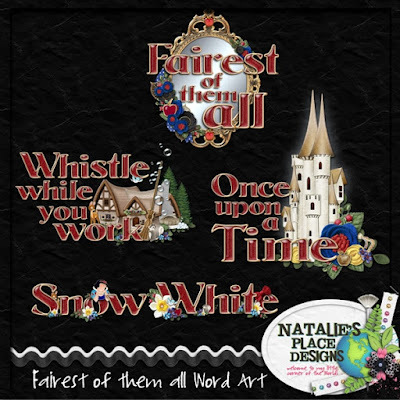 This collection was inspired by Disney's very first princess.... 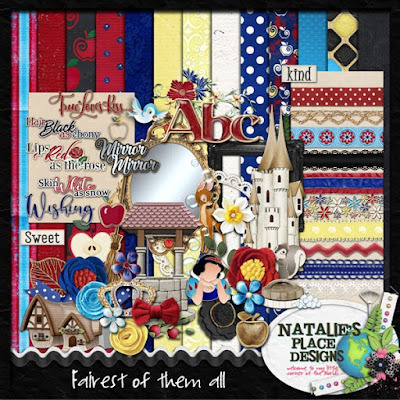 This kit contains 13 papers, 3 frames, 9 ribbons, 3 leaves, a ric-rac, 3 borders, a bluebird, a deer, a squirrel, a castle, a cottage, a bud sprig, a broom, bubbles, a scrub brush, 4 apple elements, a bow, a crown, a mirror, a scatter, a tree, a wishing well, a princess element, an embroidery element, 8 word tags and an alpha. Scroll down for a surprise! Click on any image to purchase. 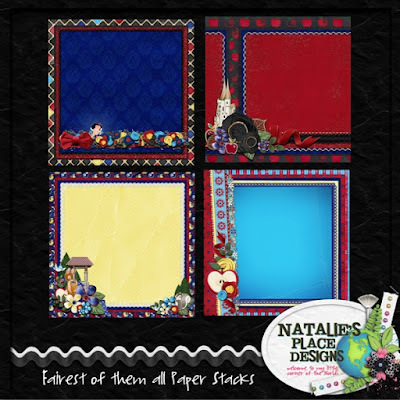 Here are my layouts I made with the bundle. 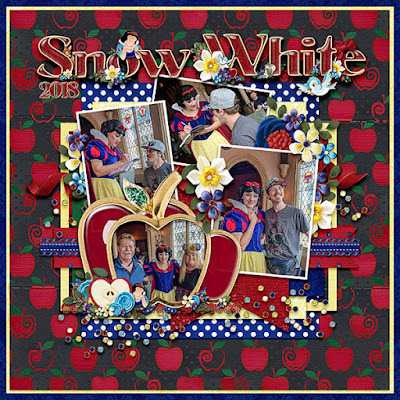 And a freebie I made for you... Click HERE or on the image to download.